HURON, S.D. 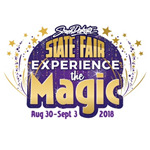 - The South Dakota State Fair offers several ways to save money during the fair. Save on gate admission by purchasing your grandstand tickets on or before Wednesday, Aug. 29. Tickets purchased by then include gate admission. 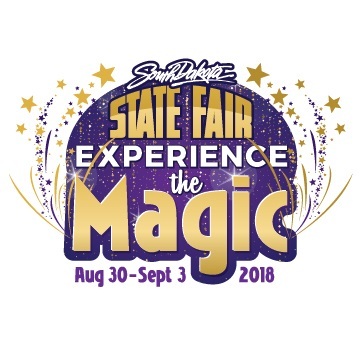 Grandstand tickets can be purchased by calling 866.605.3247, online at www.sdstatefair.com or at the grandstand ticket office. On Thursday, Aug. 30, all veterans and active military members receive free gate admission. 4-H youth also receive free gate admission by showing their 4-H card, which can be obtained from county 4-H offices. Coupons for $1 off gate admission on Friday, Aug. 31 are available at Prostrollo Motors on east Highway 14 in Huron. The Prostrollo’s Rockin’ Rollback coupons are valid on Friday, Aug. 31, only. Monday, Sept. 3, is Fairytales and Fantasies Day, as well as Pay it Forward Day. Kids can dress up as their favorite fantasy character and be eligible for $1 off admission into the fair. The fair is also teaming up with businesses and organizations that are generously sponsoring gate admission passes for those in need. Passes will also be randomly handed out at the gate entrances. Fairgoers can pay it forward to the food pantry by bringing a non-perishable food item for the ‘Drive to End Hunger” between the hours of 7 a.m. and 11 a.m. and receive $2 off gate admission. There are also plenty of ways to save money at the carnival throughout the week. All rides on Wednesday, Aug. 29, are only a dollar! The Weekly Passport to Fun pass offers a carnival ride pass for all five days of the fair. Advanced passes can be purchased at Prostrollo Motors through Sept. 1 for $52. Big Jim 93.3 and Iversons are offering a $3 off coupon for weekday ride wristbands. Coupons can be picked up at Iversons at 101 2nd St. SW in Huron through Saturday, Sept. 1. They will be available at the Iverson's State Fair location Sunday, Sept. 2 and Monday, Sept. 3.